September 25, 2016 Diana B. “Everybody wants to go to heaven, but nobody wants to go now.” That’s a line from a popular song by country music star Kenny Chesney. It’s catchy because it’s true. It’s rare to find someone who seems very eager to leave this life on earth. It’s rare to find someone who even wants to talk seriously about it. I think this is true partly because none has a clear picture of what heaven will really be like. But as a believer in Jesus Christ, I know heaven is my ultimate destination, and so it should be foremost in my thoughts. In fact, the apostle Paul specifically urges us in Colossians 3 to set our hearts and minds on things above, not on earthly things. Reading Elyse Fitzpatrick’s newest book, Home: How Heaven and the New Earth Satisfy Our Deepest Longings, has helped me set my heart and mind heavenward. The book overflows with Scriptures and Bible-based commentaries about heaven and the New Earth. 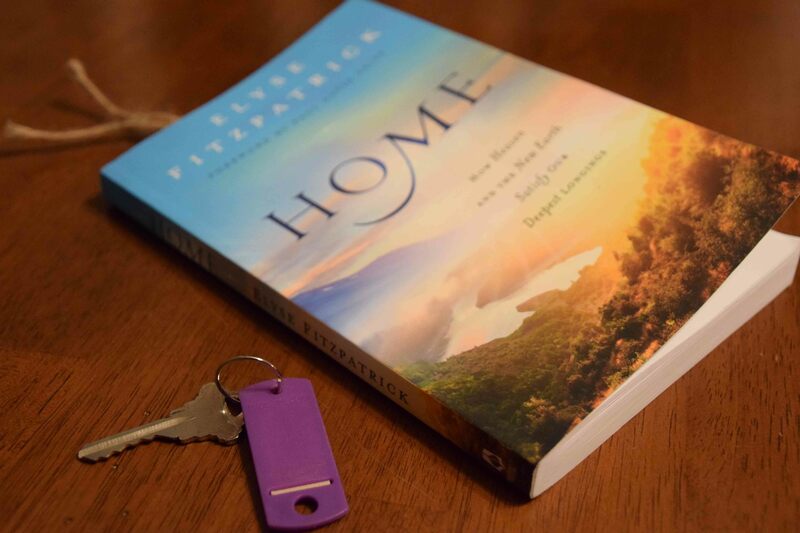 Fitzpatrick also clarifies some of the confusing and non-Biblical ideas many have about heaven, and she carefully explains the homesickness Christians feel living here on earth while our true citizenship is in heaven. “Home in the place to come will truly be Home for us because it is where the Lord is. We miss him. We feel so homesick because we are ‘away from the Lord’ right now,” she writes. In addition to offering wonderful glimpses of what heaven and the New Earth will be like, Fitzpatrick offers very fascinating thoughts on how the church on earth is like stepping into another realm. “The church on earth is the doorstep of the church in heaven… it is the shining portal through which we catch glimmers of golden light… it is through the church that we are reminded that He provides all our needs, pardons all our sins, and protects all of us all our days,” she writes. Encouragement and comfort abound throughout this book, especially for those who are suffering. Please note: In exchange for this honest review, I received a free copy of the book from Bethany House Publishers.